I am hurtling through space in the blue air above the clouds of Denver. Loving the view and the new album that is now finished. Last night with my hubby Geoff we were spinning it on repeat and couldn't stop ourselves from playing it just one more time. Sunset Sound studio has such a pleasingly analog sound and the album sounds iconically like my favorite version of Heart before everything got so super digital. Me and the band guys played together simultaneously in the same room and could all see each other. Even from the isolation booths. It's kind of unheard of to record that way anymore but because we have played so many live shows together our mutual rock telepathy was strong and alive. Some big time chills and thrills went through us all for sure. Since me and Dan Rothchild were co producing from the inside it became even more a beautiful opportunity. But then there's also the Ann thing. OK. I must confess she has never been so strong and alive as a singer. 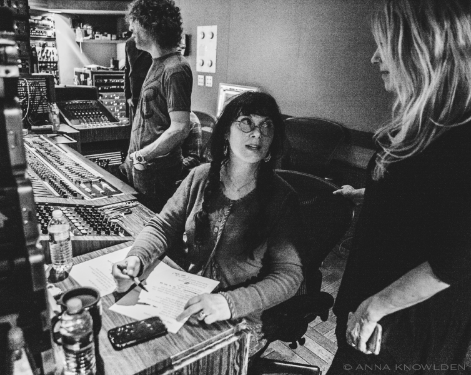 Her extracurricular Ann Wilson Thing shows have kept her vocal sound and vocal feel as smooth and effortless as all the greatest singers through the halls of fame. I've known all the eras of Ann. Early on there was almost an Elton John accent and phrasing that we were also chasing as song writers. The 80s era shaped her vocal style more along the lines of peaking it and proving it and there were some high flying examples of those amazing vocal pyrotechnics as only Ann Wilson could fire off. But this era of Ann and this album are my all time best beloved. There are songs that rock the roof while her control is unflinching and never pushy shrill or mean spirited. Ann's deep spirit is there on the romantic songs of course too. Possibly the toughest chore as a singer is to pull off the slower delivery of an aching love song . And then there's a few of the best rock 'Yeahs' I've ever heard. Ever. In the first song, the title track Beautiful Broken, before she even starts singing she drops a laughing yeah in the coolest most conspiratorial way. In Sweet Darling she adds a hey yeah that is super gorgeous not to mention the elaborate yeah of Johnny Moon. But the best yeah on the album might be yeahs that reoccur at the end of each chorus in Heaven culminating in the longest most wrenchingly beautiful moment perhaps of them all. Wow. You think my sister was born to sing?